As a mom, I always want to give my girls the best Christmas they’ve ever had. It’s a desire that never goes away and each year I can’t stop myself from trying to out do the year before. Sometimes I take it too far while other years I am able to keep myself under control. It all depends on the year and the deals that are available; and my personal budget, of course. This tendency to go overboard is one of the reasons that we made the decision to live simply to save money and why we downsized to live in a hotel for a while in 2017. With less space available, I had no choice but to only choose a couple of awesome gifts for her and to let the rest go. Just because I wasn’t buying a proverbial boat load of Christmas gifts that year, didn’t mean that I didn’t want to save money on Christmas. There are a lot of places that we all spend money on Christmas and they aren’t all in the gift department. We spend on Christmas dinner, on holiday travel, on Christmas decorations and more. 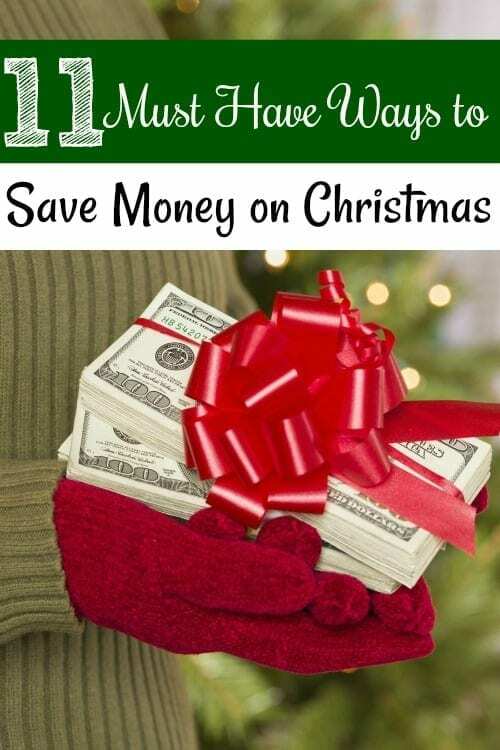 These 11 must have ways to save money on Christmas can help you in all of those areas. Part of the reason that I have always gone overboard is because I suffer from a huge issue that afflicts a lot of moms out there; Mom Guilt. The dreaded Mom guilt for me stems from when Emma and I spent 10 months in a homeless shelter. I have always felt as if I need to make up for that time even though logically I know that I don’t need to. She is happy simply being with me for the holiday. As she has grown older though, the guilt has lessened a bit and now, I’m ready to use these ways to save money on Christmas to celebrate the spirit of the season instead of the almighty gift as I have done in the past. This year, we have a combined family with a second girl to shop for. If I wasn’t careful, I would be struggling to find ways to save money on Christmas. Thanks to these tools though, I’m not! Christmas will be just as awesome as when it was just my Emma and I and both of my girls are going to be thrilled! One thing I will mention is that the only sure fire way to keep your personal budget safe during the holidays is to keep your budget updated and to make extra money when you need to. 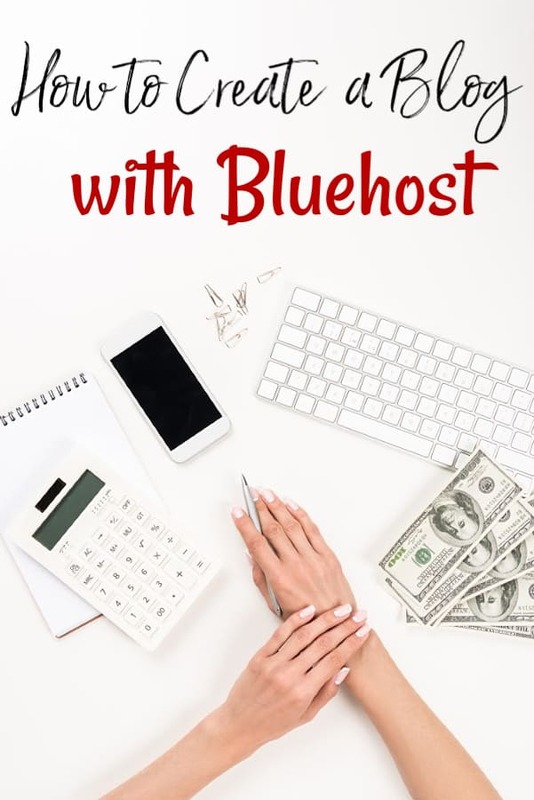 There are quite a few different ways to make money online that you could do to bring in extra cash, you could learn how to start a WordPress blog and how to make money blogging or you could sell things you no longer need online to bring in extra cash. No matter how you choose to earn extra money, you’ll want to make sure that you at least try so that you have that extra money when the holiday deals come around. Amazon Prime – Are you an Amazon Prime member? If no, you may think that the only benefit is free 2-day shipping and let’s face it; these days that isn’t a huge draw since a lot of websites offer it. However, there are a lot of benefits to Amazon Prime that you may not know about and one of them is that Prime members often get a exclusive discounts on items, exclusive coupons and early access to Amazon’s Lightning deals. In addition to that though, the tv, books and other benefits you get are well worth taking the time to sign up for Amazon Prime. You can sign up for Prime for around $10.00 per month or $99.00 per year, but if you receive EBT benefits, you can sign up for Prime at a discount of just $5.99/mo. Plus, all new prime members receive a free 30-day trial to Amazon Prime. Homemade Gift Ideas – If your Christmas budget is especially tight, why not opt for a few homemade gift ideas instead of spending money to buy gifts? You could put together a gift basket with homemade beauty supplies or even put together a set of homemade cleaning supplies to help someone go natural in their home. You could fill bottles with candy and add a label and more. If you’re gifting a new mom, you could order over $1,000 in free baby samples and put together a gift basket. The possibilities are endless when it comes to giving a homemade gift so don’t get discouraged if you don’t find an option you like right off the bat. Raise.com – Raise is one of my favorite money saving tools to save money on Christmas. It allows me to buy gift cards at a discount not only for Christmas savings but the stores I shop all year long. It may not be a huge savings, depending on which store I’m shopping, but to me, any savings is a great one. With Raise, I can buy for stores I grocery shop at such as Amazon, Walmart and Target without paying full price. Typically you will save a few dollars on each gift card. It may seem to be a small savings, but those small savings amounts add up over the course of a year. When you buy discount gift cards at Raise, you’ll want to make sure that you double check that it is an e-gift card. If not, you’ll have to wait to receive your card in the mail. InstaGC – This is my favorite of all of the sites that I use to save money on Christmas. I not only use it for Christmas savings, but I use it all year long to help save on my bills. I pay Netflix and more with it, to save on groceries and even get cash for things that I can’t get a gift card for. Around October, I stop using it for anything else and save up my account balance solely to earn free Amazon gift cards online. This allows me to “buy” all of my gifts for $0.00 out of pocket. In fact, this site has allowed me to have a free Christmas for the last several years. When you sign up for an InstaGC account, you can cash out instantly as soon as you reach $1.00 in earnings. Prizes are paid instantly! Side Note: Want to learn how InstaGC and other sites help me to earn a FREE Christmas every year? Sign up for my FREE Christmas email series! It’s totally free and in just 6 weeks, I’ll show you how to get Christmas for FREE too! Sign up HERE and get started today! Swagbucks – Swagbucks is another one of the money saving tools that I use online to save money on Christmas. Here, I search normally, take quick surveys and watch commercials for points. Those points are then exchanged for gift cards or Paypal cash to help me save. This one earns a bit slower than the one above so around September, I stop cashing out in favor of saving up my points for Christmas. During the year though, I use my points for Paypal cash that we use to fill up our gas tank to save on gas costs. Plus when you sign up for Swagbucks, you can download their app if you want to earn points with it as well. Ebates – In addition to earning money for Christmas, I have to actually save on the gifts I buy. Ebates is one of the sites that helps me to do that. When I’m headed to shop online, I head over to Ebates first. Ebates is a cash back shopping site which means that they will pay you cashback to shop through them. They have a special relationship with the retailers that you shop with and make a small amount of commission when you shop with them. Ebates then turns around and pays you a portion of that commission back in cashback. Plus, when you sign up for an Ebates account, you will be given a FREE $10.00 bonus after you make your first purchase of $25.00 or more. This cashback helps me to save even more so I make sure that I always shop with Ebates if possible. Side Note: Want to kick up your day to day savings a few notches? Grab my book, Six Dollar Family: From Six Dollars to Six Figures! It’s packed with more frugal living tips, practical DIY’s and more! Currently available in paperback, Kindle and Nook formats. Ibotta – It might seem strange to consider a grocery savings app a way to save money on Christmas, but it really isn’t. Christmas costs don’t include just the gifts. They also include the Christmas meal and other things such as decorations. When you sign up for an Ibotta account, you will be able to earn cash back rebates on not only groceries and decorations, but other items too. You can save on gifts and more with them. Plus, Ibotta often offers a signup bonus to new members when they make their first rebate redemption. These change often so make sure to pay attention when you sign up. Grove.co – It may seem strange to use a site that sells all natural products to help yourself save money on Christmas, but Grove.co is great for saving money on stocking stuffers. You can find things such as body washes, lip balms, candles and more. They’re all natural products and they all make great stocking stuffers or small gift ideas! Plus, a lot of the time, Grove Collaborative will offer a free $10.00 bonus when you sign up for a Grove account. That alone makes it worth it for me. RetailMeNot – When you’re shopping online, having an online coupon code is almost as important as finding a good deal. When you sign up for a RetailMeNot account, you not only get access to thousands of coupon codes, but you’ll also have the chance to earn up to $30.00 in cash back every time you shop through RetailMeNot. The coupon codes that RetailMeNot offers can save you hundreds when you buy Christmas gifts so make sure you don’t skip this step. Top Cash Back – Another great cash back site is Top Cash Back. When you sign up for a Top Cash Back account, you will get cash back on thousands of retailers when you shop. They have multiple ways to cash out including Amazon Gift Card! Plus, new customers can score a FREE pair of women’s touchscreen leather gloves! Holiday Gift Guides – Most bloggers put out some form of a Holiday Gift Guide each year where they offer up gift ideas based on themes or prices. These guides can be a fantastic resource for finding not only great gifts, but gifts that are within your Christmas budget so that you are able to save money on Christmas. Our own holiday gift guide found here is small, but it is filled with great gift ideas that should not break your budget.